The company in Bavaria in Malgersdorf was founded in 1990. Former this company site was a construction firm, which buildings were newly adapted. The company site was expanded and equipped with assembly sites, a blasting system and a lacquering box. 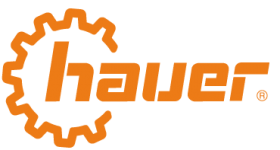 Special product components, which are exclusively determined for the German market, are produced by the Hauer Frontlader GmbH. Front loader parts from Austria are complemented by the German components, mounted and delivered to the German agricultural dealers. At the moment the company has 7 employees. To the website of Hauer Frontlader GmbH in Bavaria, in Malgersdorf!